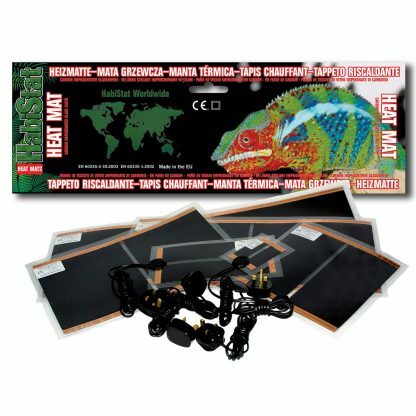 Heat Mat 7 W 15 x 28 cm (6 x 11″) Self-adhesive. Ideal size for heating a medium to large storage box. 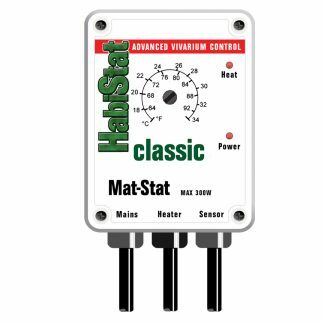 For best results use with thermostat. Heat Mats produce ultra long wavelength infra red heat. This wavelength is invisible to the human eye and tends to furnishings in the cage rather than the air. This action of heating is very similar to the sun and it has the ability to heat anything that it strikes but with the air temperature remaining much lower.